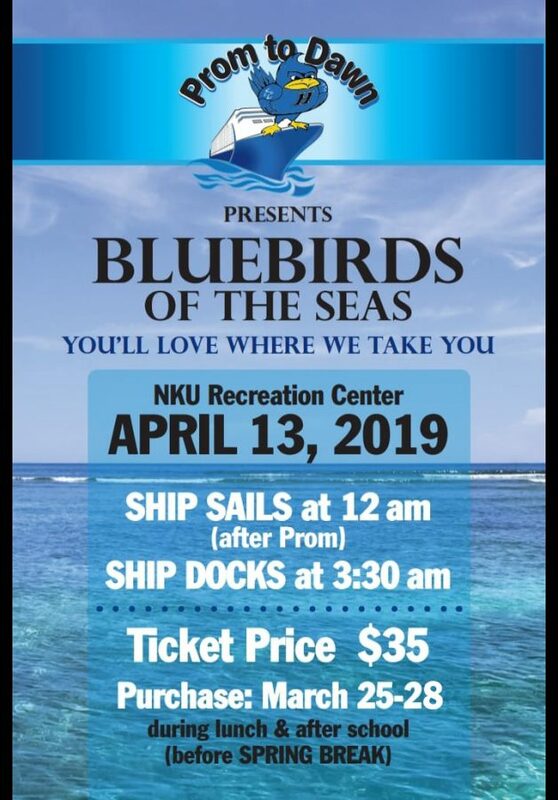 With a change in venue, this year’s cruise themed Prom to Dawn will set sail on April 13th from 12:00 A.M. to 3:30 A.M. at the new location of Northern Kentucky University. 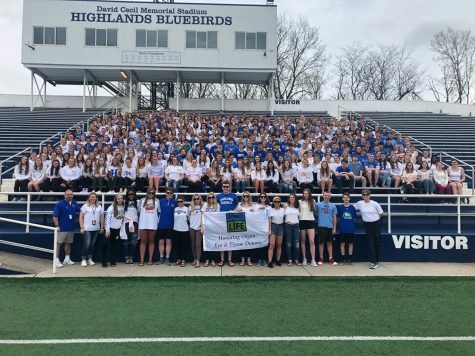 For the past 20 years, this event has been held at Highlands High School. This year, though, the parent committee decided to move it to provide more space for students and prevent damage to the school. In the past, Prom to Dawn has consisted of the high school being decorated in accordance with themes such as Spring Break Destinations, Disney, and Olympics. Activities have included bull riding, giant inflatables, and a hypnotist. Though the venue of Prom to Dawn has been changed, it will still be as great as ever, if not better. This year, there is a Cruise theme and activities will consist of those one would have on a cruise ship. 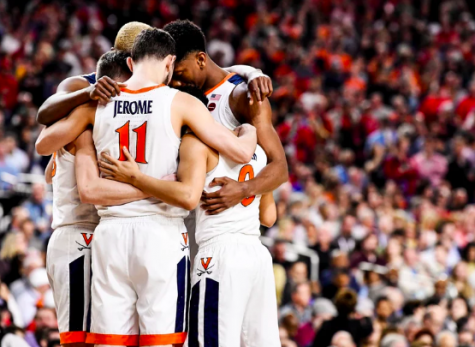 With this move, many students have mixed reactions. Senior Will Bertsch thought Prom to Dawn last year was “awesome!” and isn’t sure how to feel about it this year. On the other hand, junior Ella Barnes is excited about the move. At Prom to Dawn last year, she got bored and didn’t stay very long. This year, she expects a better experience. Alongside the pool area, activities at this cruise-themed Prom to Dawn will include a bouldering wall, inflatables, and games such as Wack a Mole, LifeSize Games, and a Bungee Run. 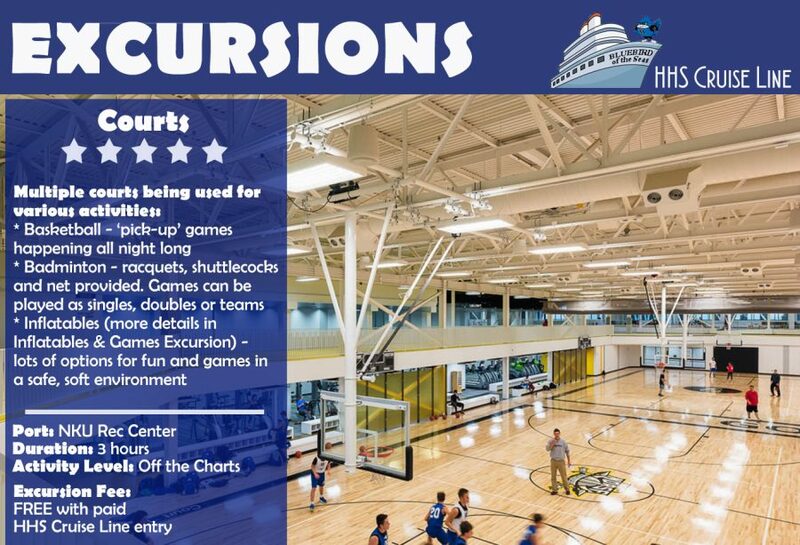 Students will also have full access to the NKU recreation center, which includes six basketball courts, with one equipped for badminton. Furthermore, Prom to Dawn will have laser tag, chair massages, and palm reading. See the gallery below for more information about these events. 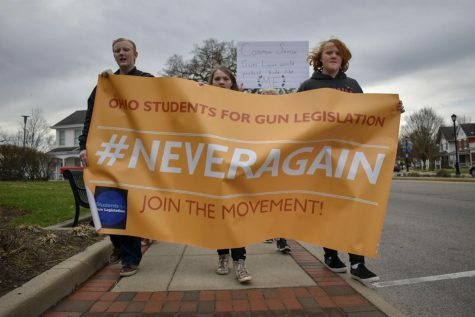 As if the events aren’t enough, there are several prizes students can win. 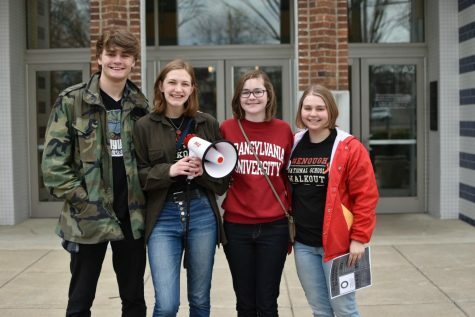 The prizes currently include an Apple Watch, Jabra (Android) wireless earbuds, Riverbend concert tickets, Kings Island tickets, a $200 visa gift card, and a three-month NKU Rec Center membership. The Prom to Dawn planning committee hopes to have 15-20 prizes, so be prepared for more awesome prizes. In preparation for this year’s Prom to Dawn, there are a few things to keep in mind. With all of the activities happening, bring comfortable shoes and clothes. If you’re planning to swim, you should also bring a swimsuit and a towel. 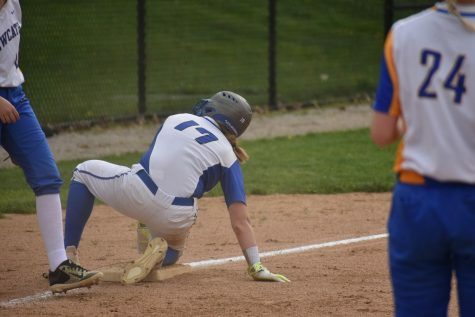 Girls, you may want to bring makeup wipes as well. As for all of your nice dresses and tuxes, there will be hangers and racks for dresses. If you rent your tux from Schrader’s Formalwear, not only will $10 from every rental go to Prom to Dawn, you can return it once you get to the recreation center. Prom to Dawn will be at the NKU Recreation Center on April 13th, 2019 from 12:00 A.M. to 3:30 A.M.. If you’re planning on going, remember to buy tickets sometime between March 25th and 28th, during lunch and after school before spring break. Tickets cost $35. 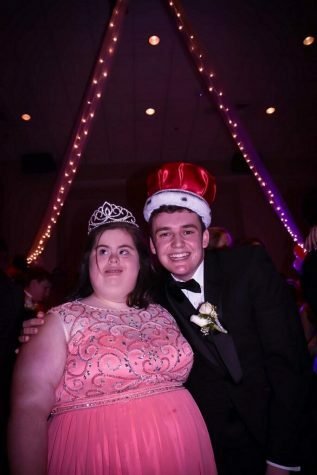 Great job on this article about Prom to Dawn Lexie! Super excited about all the fun the kids will have at the event.